With all of the recent destruction of Japans infrastructure it brings back the incident that happened on the March 28, 1979. 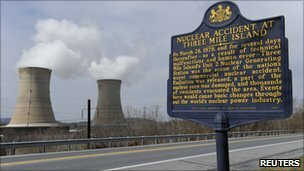 Three Mile Island. Put a new twist to BAR hopping. Take a few shots of Wheat Grass at Earth Bar in West Hollywood!